The breeder behind the Carolina Reaper has a new, potentially record-breaking chili: Pepper X. During the Cold War, the nuclear arms race led to talk about having enough weapons to "destroy the world multiple times over." This idea is purposely absurdist—intended hint at the larger point that, in some cases, more isn't actually more, it's just excess. With that in mind, a man who goes by the name of Smokin' Ed Currie has claimed to have bred the world's hottest pepper, which—at 3.18 million Scoville heat units—would best the Dragon's Breath, a pepper that only just made its case for the crown earlier this year. Keep in mind, a jalapeno's Scoville score is only in the thousands. So regardless of who actually has the hottest pepper, this is mutually assured destruction for our tongues. Pepper X is the name given to Currie's latest creation, and if it is eventually confirmed as the Guinness World Record holder for "Hottest Chili," this new pepper would be a worthy heir to the throne. Smokin' Ed previously held the record after developing the highly publicized Carolina Reaper pepper—which Guinness certified as hottest in 2013 with an average spiciness of 1,569,300 Scoville heat units. However, for now, the true hottest pepper appears to once again be up in the air. In May, Mike Smith and his allegedly 2.48 million Scoville unit Dragon's Breath pepper made the publicity rounds with the breeder saying he had put in his application with Guinness and was simply waiting for the confirmation. Now, Currie has made a similar claim about Pepper X, saying he's also submitted his application to Guinness and expects confirmation around November, according to Foodbeast. Tellingly, the page on Guinness World Records' website for the achievement, which once listed the Carolina Reaper, is currently blank. Also keep in mind that individual peppers, even of the same variety, can have vastly different Scoville scores and no single score is good enough for Guinness to anoint it the hottest. So determining the actual record holder, at least by Guinness's standards, isn't as easy as simply tossing out a flashy number. Still, as a previous record holder, Currie's claim would seem to be a legitimate one. And at the very least, Guinness can't keep that Hottest Chili page blank forever. Unlike, say, the record for "Most people wearing sock puppets (single venue)," this is a record people actually care about! 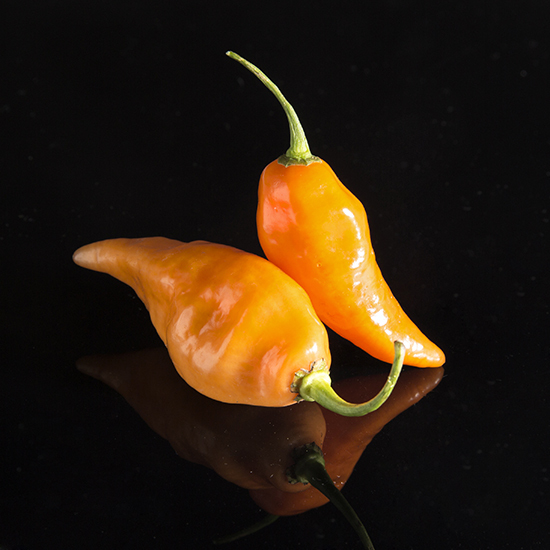 Are Heatless Habaneros Pushback on the Spicy Pepper Craze?